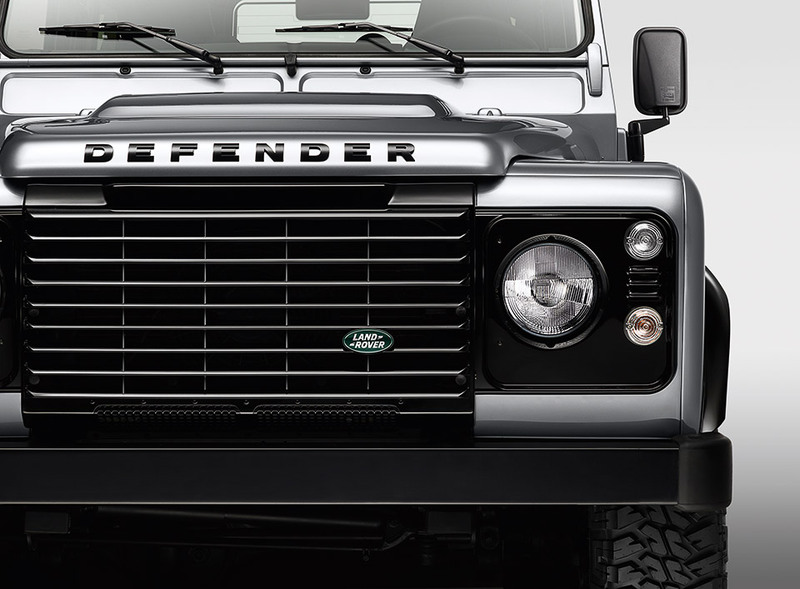 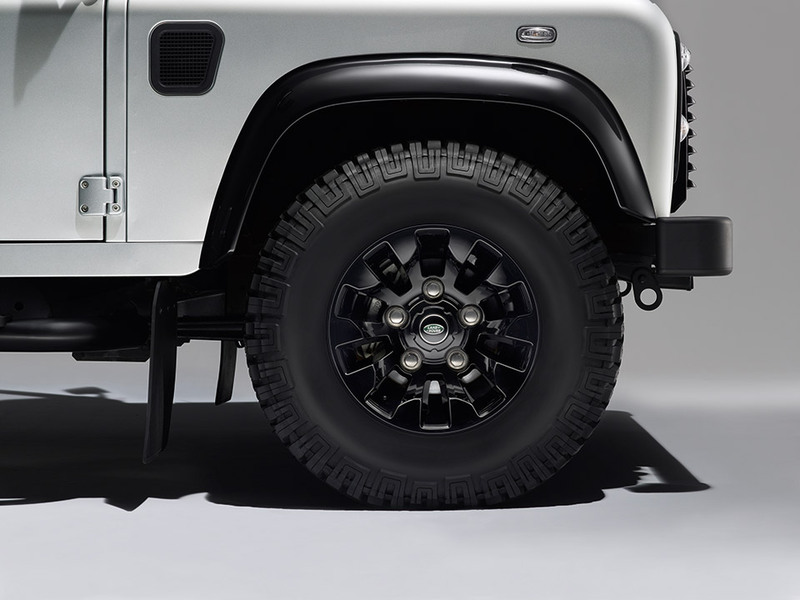 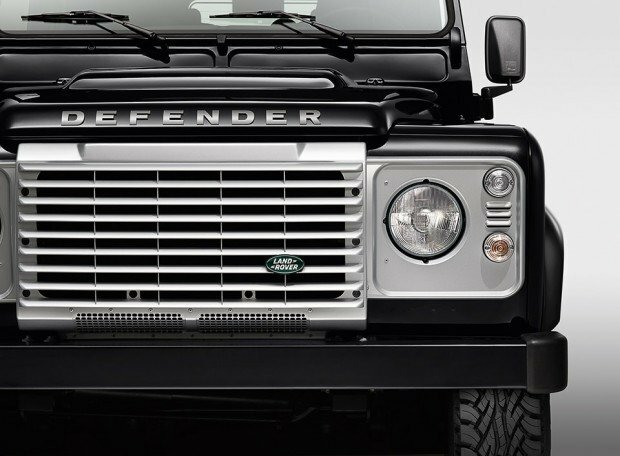 Land Rover has announced two new option packs for the sturdy Land Rover Defender: the Black Pack and Silver Pack. What, did the marketing team not get their hands on these? 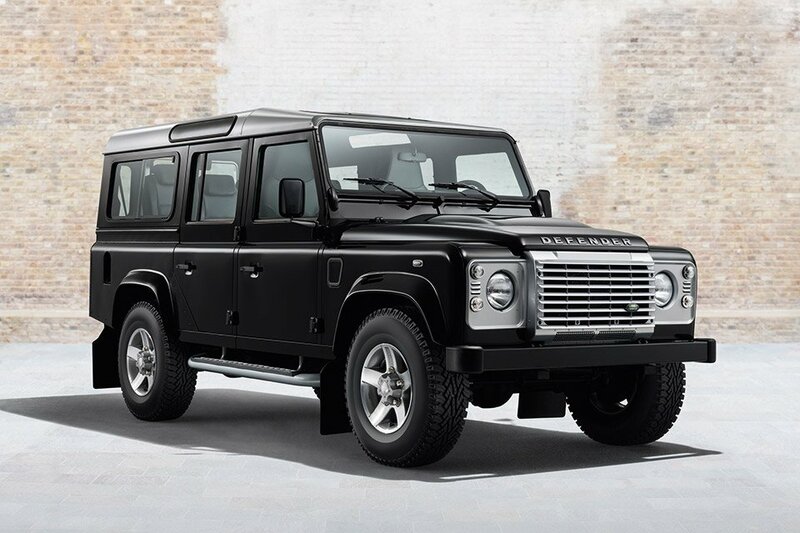 The Black Pack (above) has a Santorini black finish on the roof, grille, grille surround, headlamp surrounds, and wheel arches. It also has privacy glass and an ebony headliner to add to the evil-villain look. 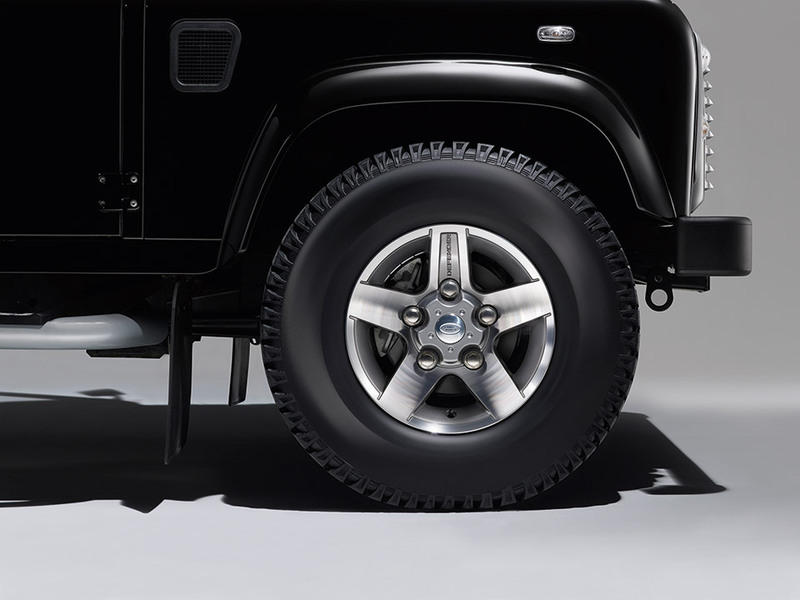 It’s available with either a gloss black Sawtooth allow wheels or gloss black heavy duty wheels. 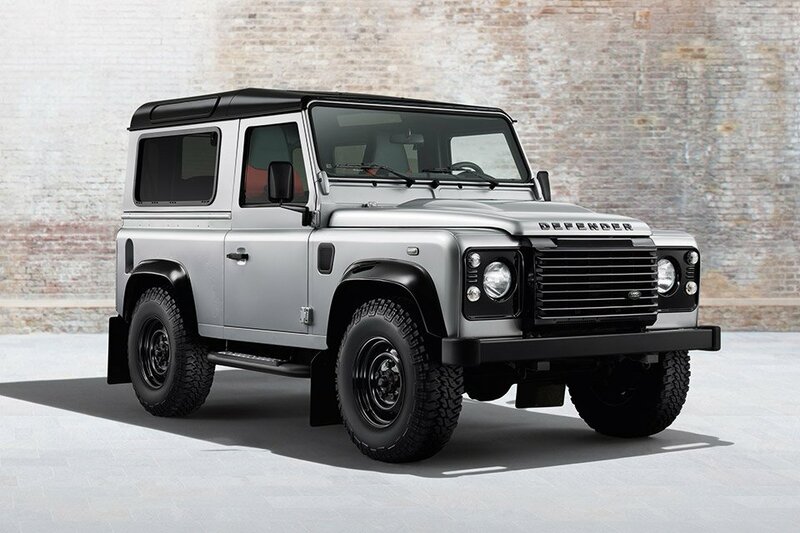 The Silver Pack (first image below) comes in a bright silver contrasting roof and grille surround and dual finish alloy wheels. It’s also got a bright light pack incorporating white tail and indicator lights.